We'll level with you. We're 1970s carpet, poppadoms-for-the-table-and-can-we-keep-the-chutney-please curry eaters at heart. So deluxe versions of Indian favourites must prove they're worth the extra effort, and the extra cash. 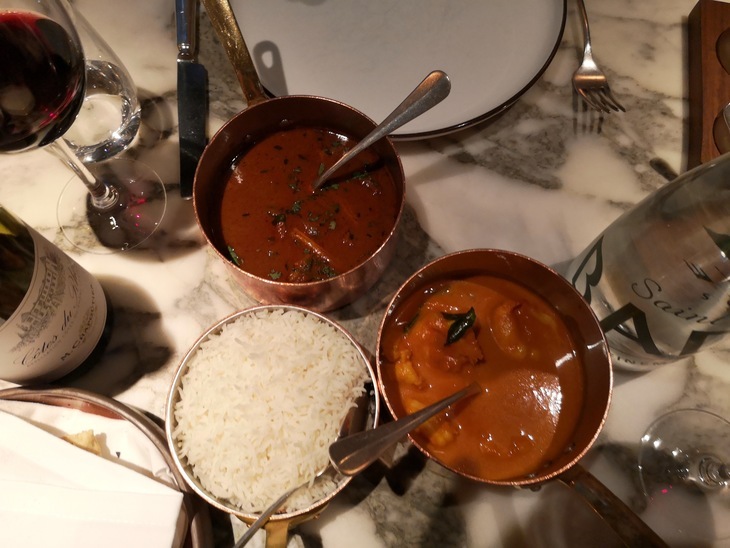 As the small plates begin to roll in at Soho's Tamarind Kitchen — an offshoot of the Michelin-star-winning Mayfair venue — it seems this restaurant can show it's worth its salt, blindfolded. Curried lentil-steeped scallops so fat they won't fit whole into your gob. Soft slabs of tikka paneer that fizzle on the tongue. 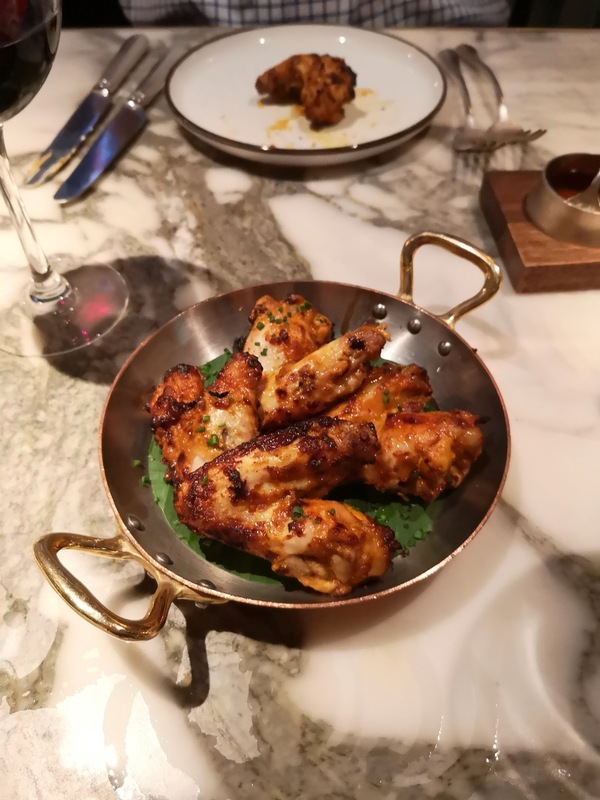 Nicely blackened tandoori chicken wings that demand to be gnawed down to the bone. Tamarind Kitchen has got posh-but-non-pretentious curry down — the grinning staff serving up with panache. There's a niggle though, and an ironic one too. The main curries. The fish being what it's been so far, we plump for the prawn kerala. And a lamb rogan josh, as that's our curry go-to. Arriving in cutesy copper pans, the meat in both cases is succulent, the sauce boldly spiced. But the sauce is also more of a soup. Even after spooning it generously over the rice, we're left swimming in the stuff. Things are compounded by a stingy, pre-sliced naan, not to mention a £20 price tag for each curry-soup pan. It's a wobble alright, yet we don't have beef with Tamarind Kitchen overall. You could happily work your way through a selection of the small plates, and leave thoroughly satisfied. Oh, and the savvy staff never so much as threatened to take the chutney away from us.